I know. Memorial Day is our day to remember those who sacrificed their lives in the service of our country. It is a noble thing to serve in the armed forces. Facing the hardship of battle is something worthy of recognition if not praise. I know this because my dad, after fleeing Germany in 1939, served as an American GI in Europe after the United States entered WW II. I remember his stories about the horrors of war, what it was like to fear for your life in the middle of a battle. So I mean no disrespect to those who have fallen in the service of our country if, on this Memorial Day, I remember some other things as well. I remember that my dad, despite his service for this country in the army, did NOT want me to be drafted and go to Vietnam. In a conversation that shocked me, as I approached my 18th birthday, Dad told me there was a huge difference between the Vietnam War and WW II. He saw no purpose to risking my life in Vietnam. He preferred that I immigrate to Israel and serve in her army or even flee to Canada. He told me specifically, that if I was in danger of being drafted and chose to go to Canada, he would understand that choice. I remember feeling how grateful I felt that my choices never came to that. I remember when your choice of movies was not a measure of your patriotism. I have not yet seen “American Sniper.” It does not particularly appeal to me, although I know I will watch it when it hits HBO or another similar channel. I was appalled by the conversations I saw on Facebook, implying that if you did not go to see this movie and support it for best picture, you were being unpatriotic. I understand that the movie is an interesting psychological study in the unraveling of a soldier forced to kill. I do not understand how choosing not to see it was grounds for criticism. I remember when my patriotism was actually measured by my idealism, by how much I dreamed and worked to make this country better. I remember wearing a black armband on Moratorium Day to protest the Vietnam War. I remember my synagogue youth group joined with other Christian youth groups to raise money in order to buy and renovate a house to give to a poor family, as our means of protesting the practices of a slum lord in Allentown. I remember the first earth days, and feeling our country was making real progress when the first major anti-pollution bills passed congress. I remember working and voting for Republican candidates for office in Pennsylvania as much as I worked for and voted for Democrats. I remember in college, working on Richard Schweiker’s senate campaign in 1974 and having breakfast with him the day before election day, after working a campaign stop with him. I remember when Republican votes were necessary to pass much of the civil rights legislation in the 1960’s and how Senator Everett Dirksen (Republican Senate minority leader) was critical in helping President Johnson pass that legislation. I remember the intellectual prowess of William F. Buckley Jr. (although I often disagreed with him) and the diversity in the Republican party that included a range of politicians ranging from Barry Goldwater to Nelson Rockefeller. I remember a time when political correctness did not inhibit the range of acceptable ideas on a college campus. I remember vigorous discussions in college, from a wide range of speakers representing a huge diversity of perspectives. I remember when it would be unthinkable to ban a speaker from appearing on a college campus because they were too conservative, or did not conform to any prevailing “groupthink.” I remember when the point of being in college was to hear and consider the whole range of ideas and opinions, and then choose what you believe. And I remember a time when political correctness was really just known as common courtesy. It was not polite or appropriate to use certain words to refer to certain ethnic groups. I remember a time there were no “word police” who chastised you every time you uttered a phrase that might offend some one. I remember a time when people were just less sensitive about being offended. I remember when all the amendments to the U.S. Constitution were of equal importance, and not just the gun rights of the second amendment. I remember when the NRA was just an organization for hunters and sports shooters, stressing gun safety and not a lobbying organization for the gun manufacturing industry. I remember never even thinking that gun ownership was an issue – my dad had hunting rifles and taught me to shoot when I was young. I remember when we all felt proud about our country’s scientific achievements. I remember listening and watching with baited breath to the Apollo 11 moon landing. I remember when Republicans actually accepted science as reality instead of dissing science to court the votes of Christians who believe the Bible is an actual description of our origins. I remember when baseball was really our national pastime, when we did not wonder if the achievements of the players were due to drugs. I remember when pitchers pitched 300 innings a season, and the best ones routinely won 20 games. I remember how the Amazing Mets took the world by storm by winning the 1969 World Series. I remember when Memorial Day was May 30 – my birthday. I remember the time before it was moved to be the 4th Monday of May in order to create better commercial opportunities. I was excited my birthday was a holiday. Finally, I remember listening to my parents remember their younger years, and lament for the values of their youth. I remember thinking that I would not become my parents. But of course, I have. I have seen many movies that have drawn their stories out of the Holocaust. I am the child of two German/Jewish immigrants, one of whom is classified, at least by Spielberg, as a survivor. I have grown up living and reliving, telling and retelling the stories. It is deep in my DNA. Often, I no longer want to go to Holocaust inspired movies. When I do go, I can appreciate them intellectually, I can appreciate good story telling. But other than “Schindler’s List” I cannot remember the last time I had an emotional reaction to a Holocaust related film. Often I feel detached. Often I am numb to yet one more rehashing of Jewish tragedy. I always say the best way to counter the Nazi attempt to destroy us is to build vibrant Jewish life – whenever and wherever we can. I just saw “Woman in Gold.” Fifteen minutes into the movie I knew something was different. I felt a different reaction to this film than to almost any other film drawn from the legacy of the Holocaust. I can identify the minute the movie changed for me – when Maria Altmann engaged Randol Schoenberg to be her lawyer. She knew his family. She remembered him as a little boy. His family was part of her family’s extended circle. She even made him a strudel. At the scene when Schoenberg and Altmann were about to leave Vienna and stopped and the Holocaust memorial, I knew the movie was touching a deep emotional chord in me. When the decision was announced that the paintings were hers, I began to feel myself breaking down. In the last scenes, as she walks through her old home, now converted into offices, she sees scenes of her childhood, her family gathered in these rooms – I was sobbing like a baby. Why? It does not seem logical. The depictions of Nazi oppression were very mild compared to so many other Holocaust movies. This was a story about recovered art, not saved lives. It was a story about an elite Jewish family in Vienna many of whom escaped. They had their own SS officer, a man in black, assigned to them to prevent their escape. As stories of Holocaust suffering go, theirs was much less tragic than many I have seen. Yet I felt this movie so deeply. In my office is a photograph of a stairway in Brooklyn leading to a store of Jewish sacred books and ritual objects. The title given the photograph is “Stairway to Heaven?” The photographer is Teddy Tobar, who was my father’s close friend, dating to their childhood in Cologne, Germany. Teddy, like a good number of dad’s Jewish community in Cologne, found a way to make it to America. I remember him as a funny, engaging man who everyone in the German Jewish community in New York seemed to know. His apartment, in the late 1940’s, was a center of social gatherings for German Jews. In fact, at one party, my dad almost ran into a cousin he did not even know existed. She and I put this fact together when I first met her years after dad died. I used to spend a lot of time with my mom’s parents in the Bronx, my Oma and Opa. They were also part of a German Jewish community that was deeply interconnected. People knew each other, often from their years in Germany. If they did not know each other in Germany, they had common friends or even cousins that formed a connection. We often kid about Jewish geography, but German Jewish geography was intimate in a way not found in most of the Jewish world. 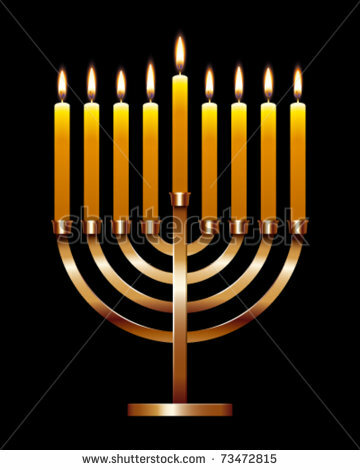 As a child I went to Chanukah parties – gatherings of the German Jewish cohort. I knew the grandchildren of Oma’s and Opa’s friends. Some of their friends had children in America after the war. They were my sitters during the stretches I lived with my grandparents. In a few weeks we will gather to celebrate my mom’s 85th birthday. My parent’s longest and closest friends will be there. The husband was my dad’s friend in Cologne as children. Their daughter has been my friend since I was 4 years old. If I were to meet someone whose parents or grandparents were German Jews, we would quickly be able to find family connections. We would be tied together as no other Jews are tied together. All of this sense of community – and community lost by the way – I felt in the movie the moment Maria served Randol a piece of strudel. It all came flooding back. I imagine the survivors of the Viennese Jewish community had the same kinds of connections as my family’s German Jewish community did. As Randol discovered why this case was about so much more than money, as he felt the deep connection to his own family’s history, I relived my own journey with my family history. When Maria looked at the portrait of her aunt for the first time since before the war, but in a museum in Vienna; I relived the moment I found the photograph of my Uncle Richard, standing in the doorway of his bedding store, defying the Nazis, hanging in the Jewish museum in Berlin. It is a moment filled with the flooding of memories – of love, of celebrations and even of sickness and death. Finally, as she won the arbitration case, wiping the smarmy, smug smiles off the faces of the Austrian officials, I felt the same pride in triumph that I felt when I remember Uncle Richard’s war heroics against the Nazis in World War II. Then, as she visits her old home, reliving her last moment with her father, who asks of her one thing – to remember him – my memory leaps not just to Uncle Richard, but to my Oma and Opa, and all of their friends, to Teddy Tobar and all of Dad’s friends from Cologne. I become connected to a chain of moments reaching all the way to the 1930’s, well before I was born. Because just like I was at Sinai with all Jews, I was also at that doorway in Cologne, protesting with Uncle Richard. So I wept. From our parashah, Leviticus, 23:15, “You shall count for yourselves, from the day after the Sabbath, from the day that you brought the sheaf of the wave offering; seven Sabbaths shall be complete.” The Hebrew is profound, usfartem lachem, “you will count for yourselves.” This is the period of the Omer, which we are counting right now. It runs from Pesach to Shavuot. It connects the holiday of liberation to the holiday of covenant. The Omer is a reminder that all of time is connected. We tend to see each holiday in its own moment, distinct and unique. But we are wrong. Every moment on our calendar is deeply connected to what has come before it as well as to what comes after it. We live in a Jewish cycle of time that spirals back into ancient times. We often forget our place in the chain. We often forget our connection to all that was before and will be after. And why are the words “you shall count for yourselves” so important? Levi Yitzchak of Berditchev taught that the beginning of the Omer marks the time that the creation of independent, thinking beings, who could serve God, was complete. Pesach, the moment of liberation, humans who would eventually learn teshuvah, who could work to improve the world, began their journey. Their instruction manual for doing that would be received on Shavuot. The command to count for themselves was a demonstration of their ability to be thinking, reasoning beings. The accounting for life was no longer in God’s hands, it was in theirs. Now it is in ours. The Hebrew word for counting is the same root as for story, and telling a story. How profound. The beginning of accounting for our responsibilities in life, for understanding who we are and how we fit into the flow of the world begins with the accounting of our stories. Our memories, our stories, can inspire deeds of bravery, deeds of intelligence, deeds of caring, deeds of holiness. Each of us tries to retrieve our “Woman in Gold” while defying the “man in black.” May we recover our treasures of the past. May our counting and our story telling be filled with holiness, for now, for always. Amen.